Ravi Walsh (https://heartpathinstitute.org) is the founder of HeartPath Institute Reiki & Spiritual Life Coaching Certification and author of the book, The Contemplative Heart: A Path to Self-Mastery. He has been a Spiritual Life Coach for the last sixteen years and studying Kundalini meditation for the last 30. His education background includes a BS in Psychology and fifteen years as a Licensed Massage Therapist and Reiki Master. 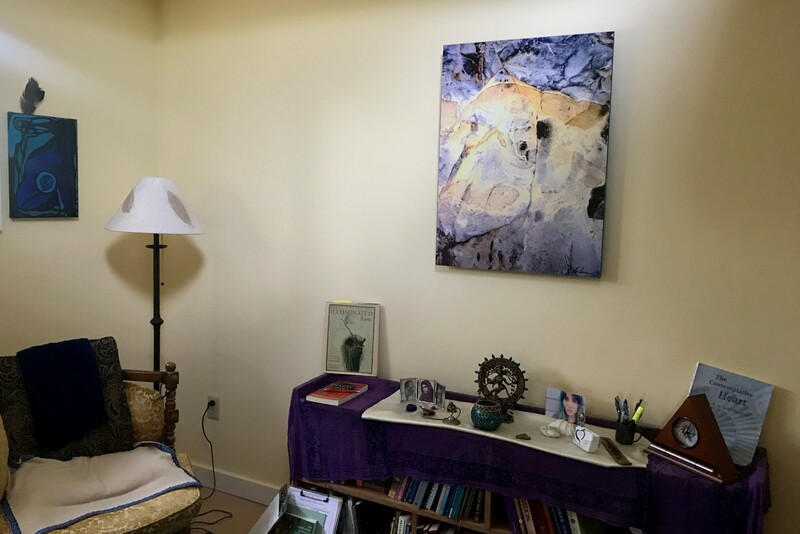 Ravi purchased some of Helena Cooper’s meditative images for his home and office, which evokes a peaceful and energetic healing energy.